We spent the last part of our trip in Bongani Mountain Lodge, a private game reserve in Mpumalanga, close to the Kruger National Park. 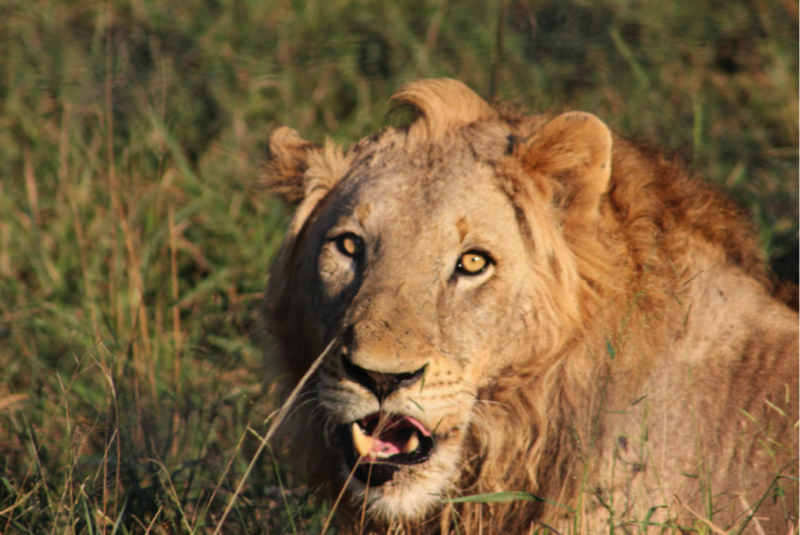 Bongani is located between several small mountain ranges where you can see all kinds of animals—lions, jaguars, elephants, snakes and even rhinos. The drive to Bongani is almost five hours from Johannesburg but it is so beautiful that the length doesn’t matter. As soon as you get used to driving on the left side of the road, the drive across the South African countryside is relaxing and enriching. 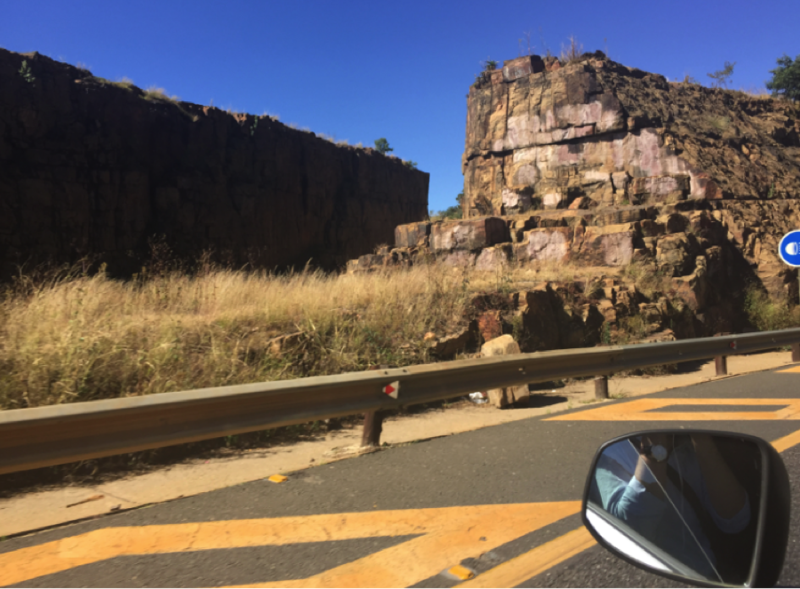 Along the way, we drove through several gigantic rock formations and even ran into some slow moo-ving traffic (for some reason, cows in South Africa like to walk on the highways). 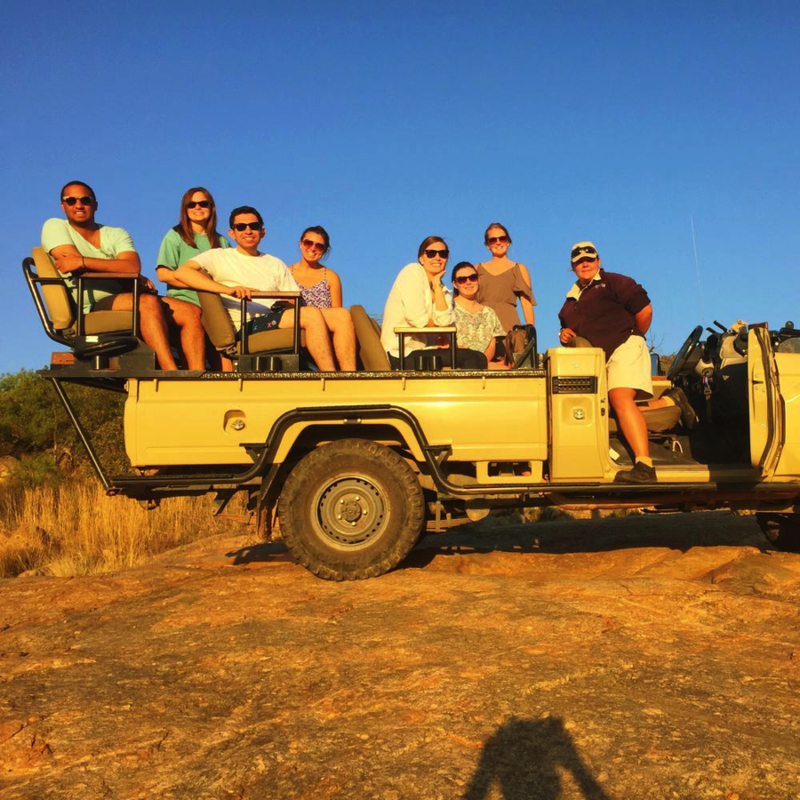 Once we finally arrived in Bongani, we still had a 30-minute drive through rough terrain in a big 4×4 jeep to arrive at the lodge. The guide told us to keep an eye out for animals but we were unlucky and did not see a single one on the short drive. We did, however, get some beautiful shots of the reserve. 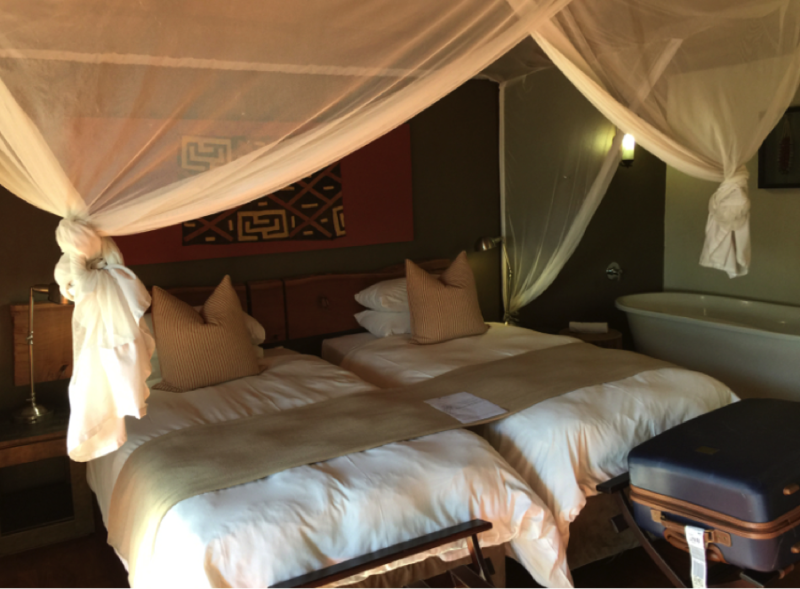 Our hotel rooms were incredibly romantic – we had a mosquito net, a bathtub and each room had an exterior shower so we could bathe with the forest around us. We also had A/C, which was necessary because Bongani can get extremely hot, even during the winter. 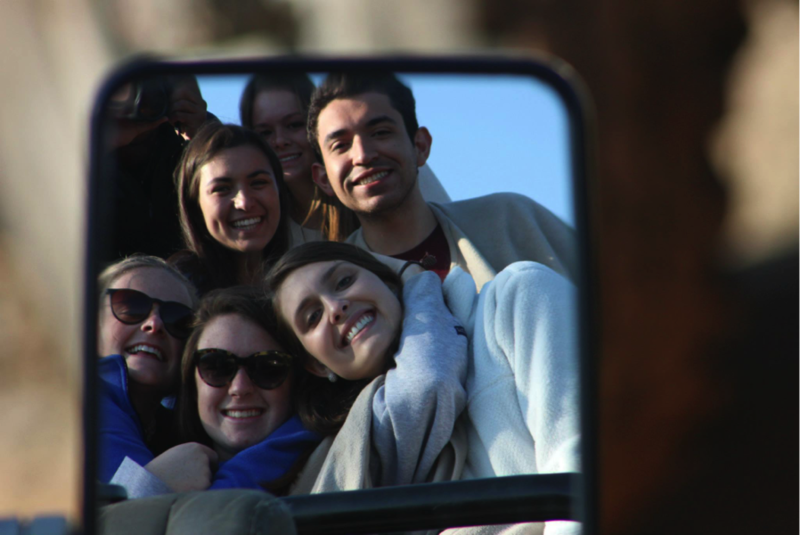 We barely had time to take a break in our rooms; our first game drive started less than an hour after we arrived! Given that we didn’t see any animals on the drive to the lodge, I’d say our luck improved considerably; we ran into a group of elephants! 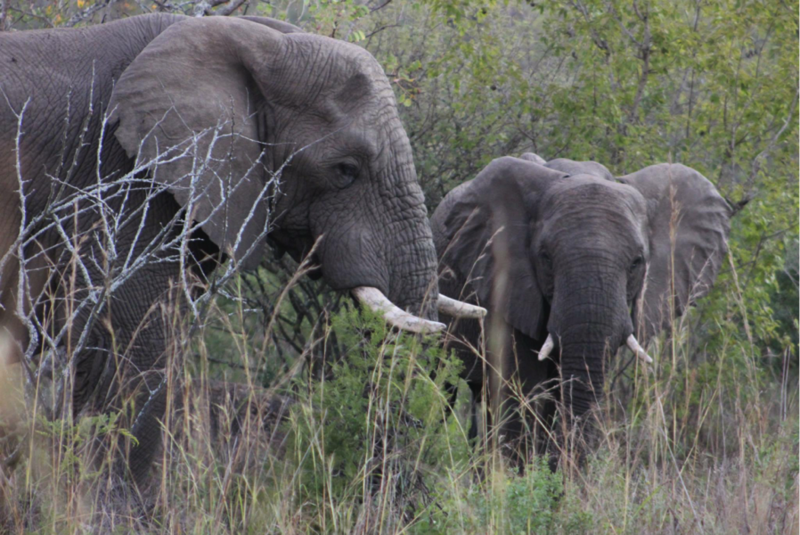 We were able to get so close that, at one point, we became a little bit scared the male elephant would charge at us. We were also close enough to clearly see the baby elephants. The mothers like to tuck away their children from strangers but we were able to see them clearly! It was so cute! Between safari game drives, we spent most of our time by the pools. There was a beautiful, large pool with a rock cascade and another smaller but even more beautiful infinity pool that had a view of the safari areas. We would watch animals from the infinity pool while we sunbathed and relaxed. 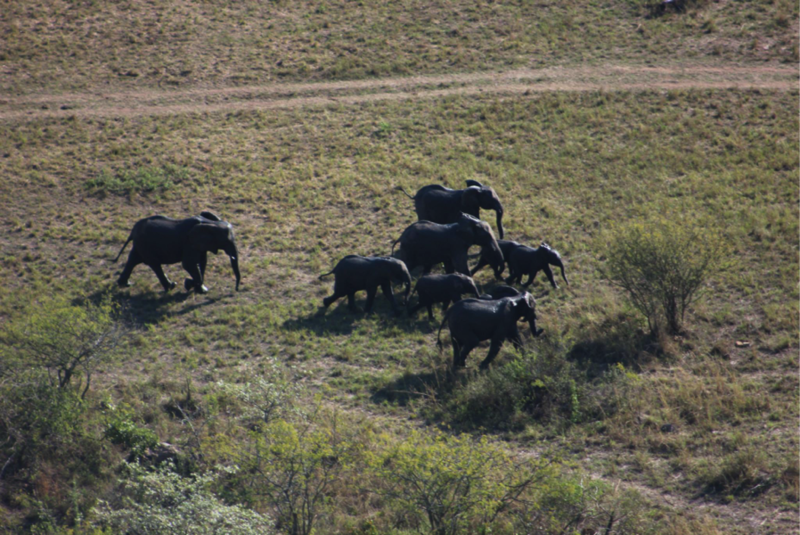 On our second to last day, we spotted a family of elephants running out of the woods to take a shower in a small lagoon. It was by far one of the most spectacular things I have ever seen. The adult elephants ran in pace with the baby elephants to make sure they kept up, and when they showered, they did so with their trunks, just like you’d see in Animal Planet! Later, we did a game drive at dusk. We left the camp around 4 p.m. and headed down the valley in search of more animals. We were lucky enough to run into a giraffe and some kudus! The giraffe was nothing special; it just ate leaves and chilled near the trees but the kudus were really interesting. Kudus are deer-like creatures that can jump four meters into the air. 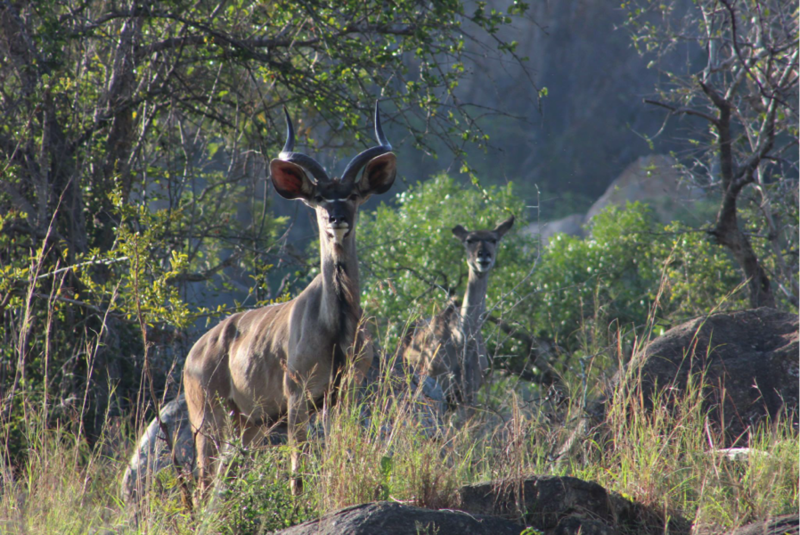 They also have beautiful antlers and the male kudus grow blue-greyish fur with black stripes. The next morning our guide, Simeon, took us up a mountain to see the dawn. We had to leave at 5 a.m. but the early wake-up call was worth it to be able to see the sun rise over the reserve. The view from the mountain was one for the ages but, sadly, our cameras could not do justice to the beauty that our eyes saw. On our third day, we went out to find lions. It was a cold, grey day so we were all wearing ponchos, and we were given hot chocolate and biscuits. We were unsuccessful in our search for the lions but we were able to see a group of lions that the reserve had caged. These lions were recently brought to the reserve from elsewhere and thus can’t be immediately released. Jamaal was skilled enough to get a shot of the male lion through the iron cage though! 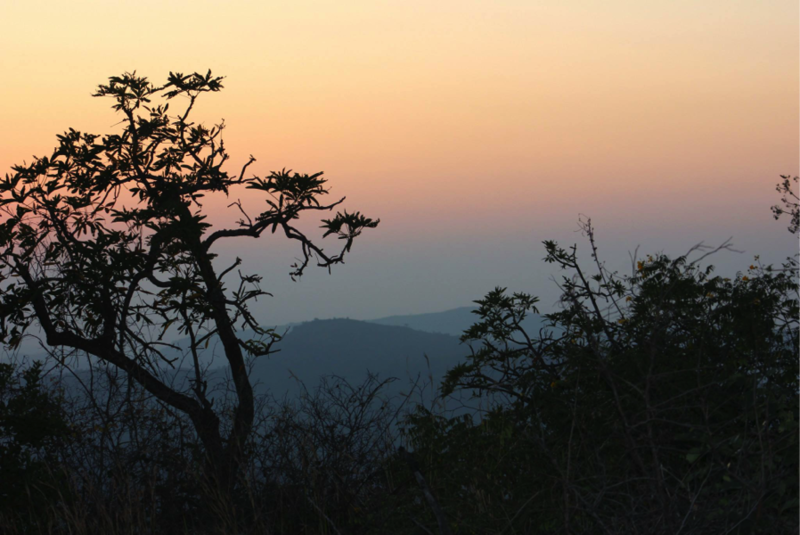 On our last night in Bongani, we went on a game drive with the goal of finding the last two animals we had failed to see – the rhino and the leopard. 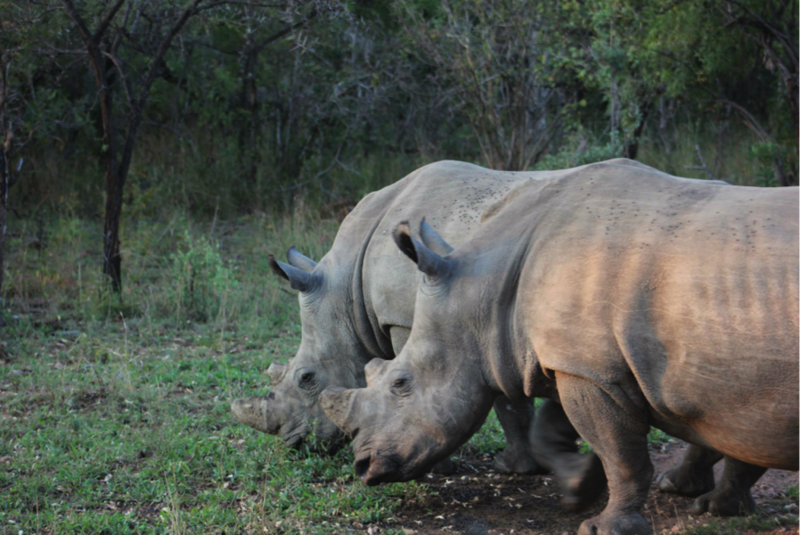 Luckily, we spotted a rhino couple walking close to our lodge. We failed to see the elusive leopard but we did see a small cat that the locals call the mini leopard! After the drive, the hotel staff prepared for us a lovely outdoor dinner by a fire, complete with candlelight. 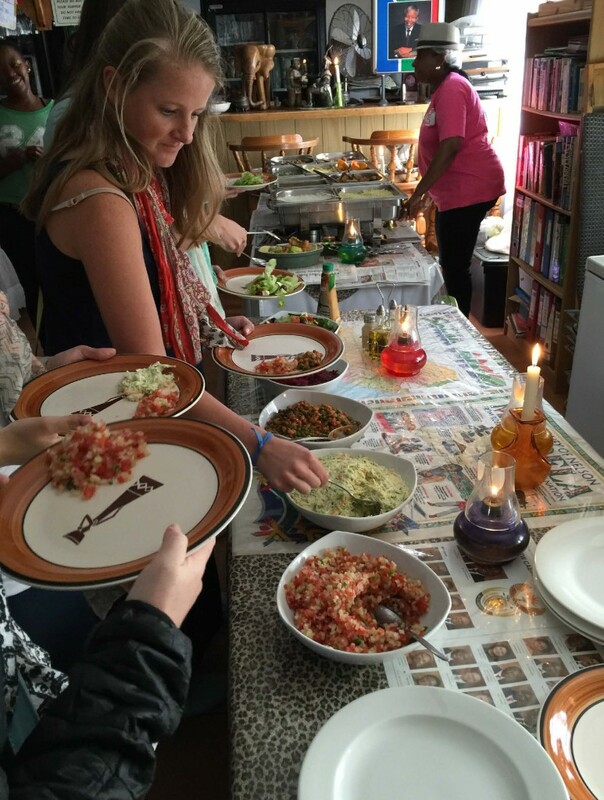 The food was a mix of South African dishes, all of which were incredible. It was a unique, memorable night. 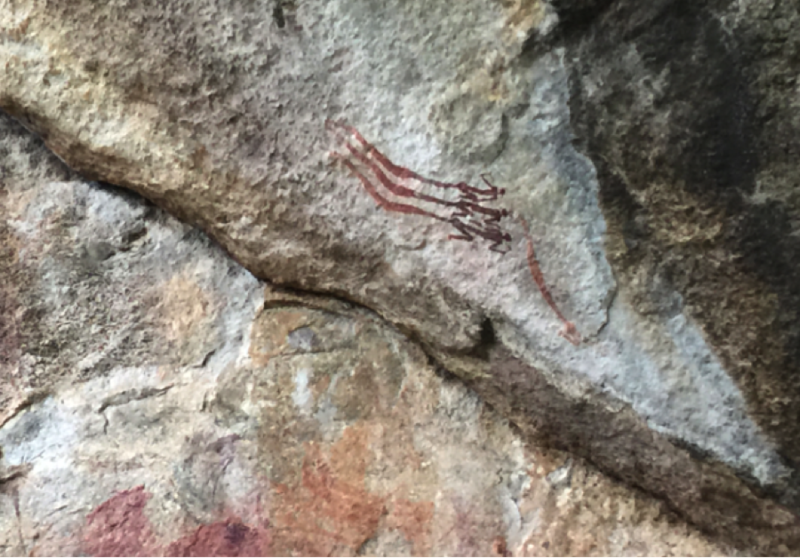 On our last day in Bongani, we visited a rock site with ancient art made by the San people many thousands of years ago. We also visited the neighboring village of Mpumalanga. The village was beautiful – in many ways it reminded me of villages in Nicaragua. The houses are small and humble but people take good care of them. The people were extremely open to us and friendly. We visited them during a Sunday, so all the village’s children were playing at church. We hung out with them for a while and we even sang together. As this is my last blog entry, I’d like to thank Jamaal Jones ’16, who took the majority of the photos I’ve shared in these posts. Today we spent our day in the city of Pretoria. 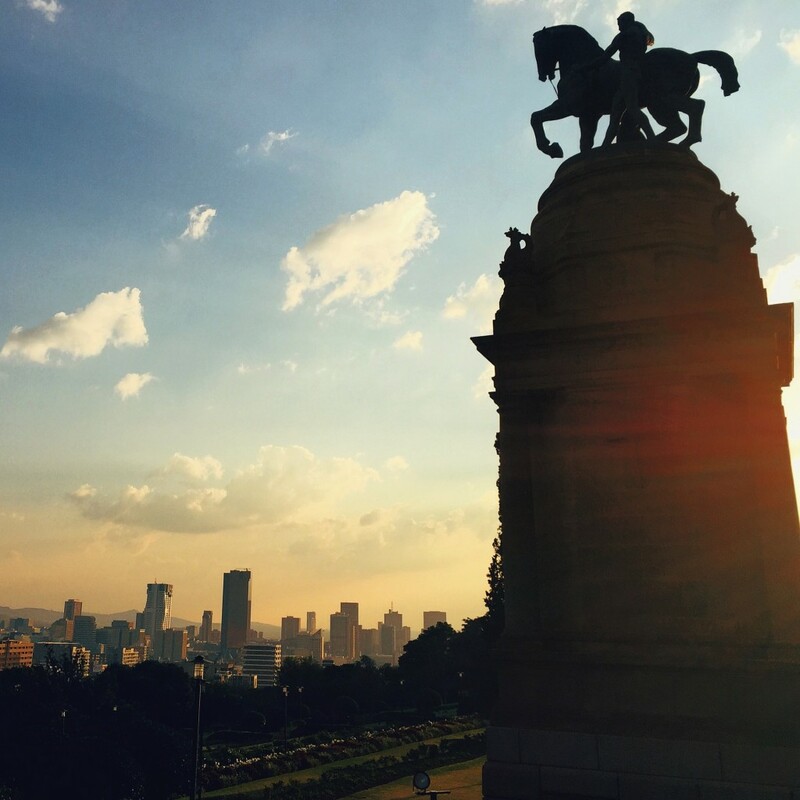 Pretoria is about an hour north of Johannesburg and is the executive capital of South Africa. Pretoria is special in that it is also the one city in South Africa where the majority of people speak Afrikaans. Afrikaans is an offshoot of the Dutch that the first colonists in South Africa spoke. 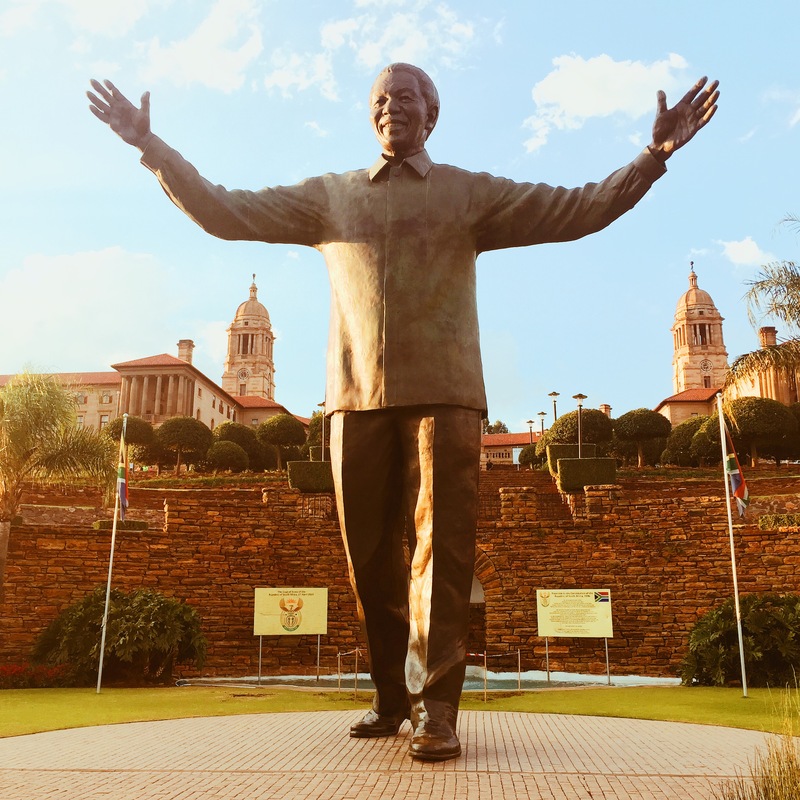 Pretoria is also home to the beautiful University of Pretoria, where we were to spend our day presenting a workshop about uncertain tax positions to the South African Revenue Service (SARS) and later to honors tax students from the University of Pretoria. When we arrived in Pretoria, we were all anxious about our presentation. 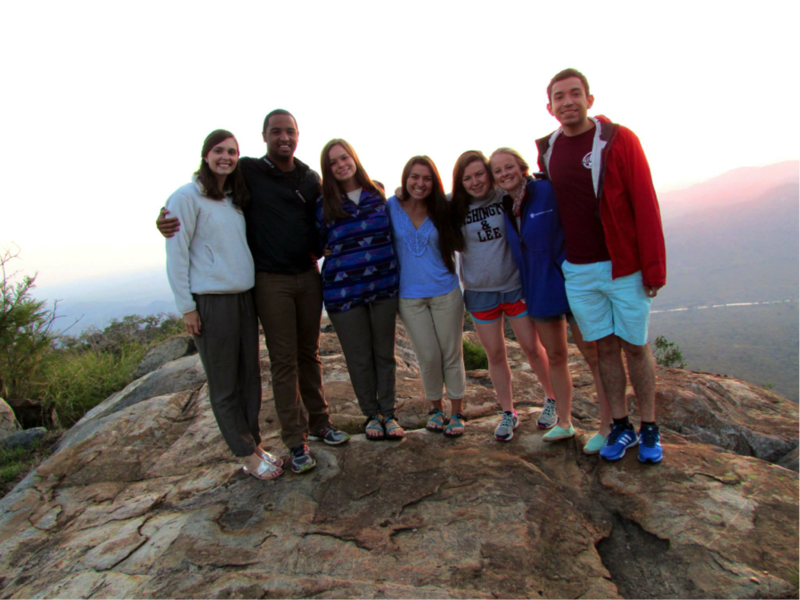 Morgan Ballengee, Jamaal Jones, Anna Hargett and Paige Hogan were the group in charge of presenting to SARS. I was in the group presenting to the honors tax students, along with Kate Feeser, Paige Gay, Amanda Garcia and Kristina Seon. The SARS group presented first, and they were awesome. They did a great job at explaining the different aspects of the American way of treating uncertain tax positions. They answered all kinds of questions from the audience and completely nailed everything down. Plus Professor Alexander and Ms. Pamela Miller helped us answer more questions after the workshop. The people from SARS were definitely impressed by their presentation, and they were very thankful and interested in our work. 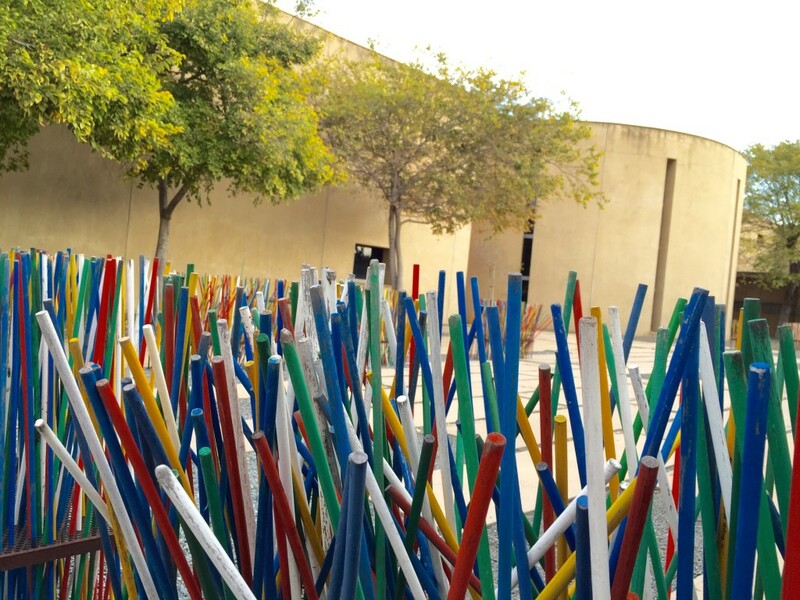 After the SARS presentation, we were given a tour of the University of Pretoria campus. 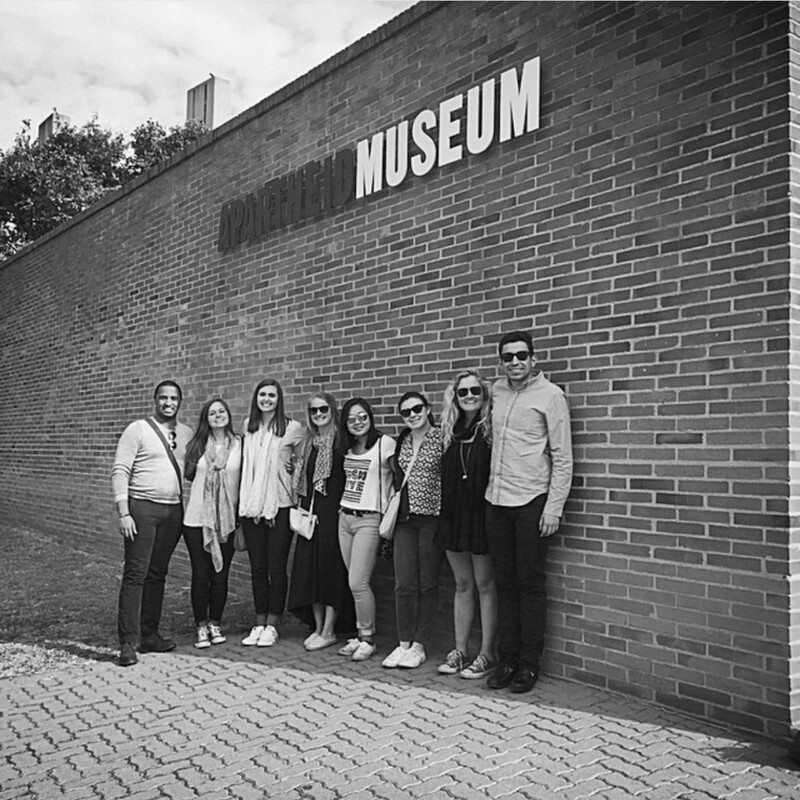 We visited their historic buildings, climbed into a tower that overlooks the city, played in their science center with many cool gadgets, including a really fun mirror maze, and even visited one of their gigantic, 200+ student lecture halls. It was interesting to walk around a campus with more than 50,000 students, and amusing to find so many similarities between our own campus and theirs, despite the fact we are continents away. We had lunch at a historic replica of the first building of the University of Pretoria. There, we were served the traditional dish of bobotie. It was so good that I went for seconds. I don’t know how to describe it better than a quiche on steroids and meat. After lunch, it was game time. It was time for my group to present our workshop to a classroom full of honors tax students. We were all at least a little bit anxious on our way to the classroom, but we had the opportunity to meet and break the ice with the UP students before our workshop started, and that definitely helped everyone to relax. 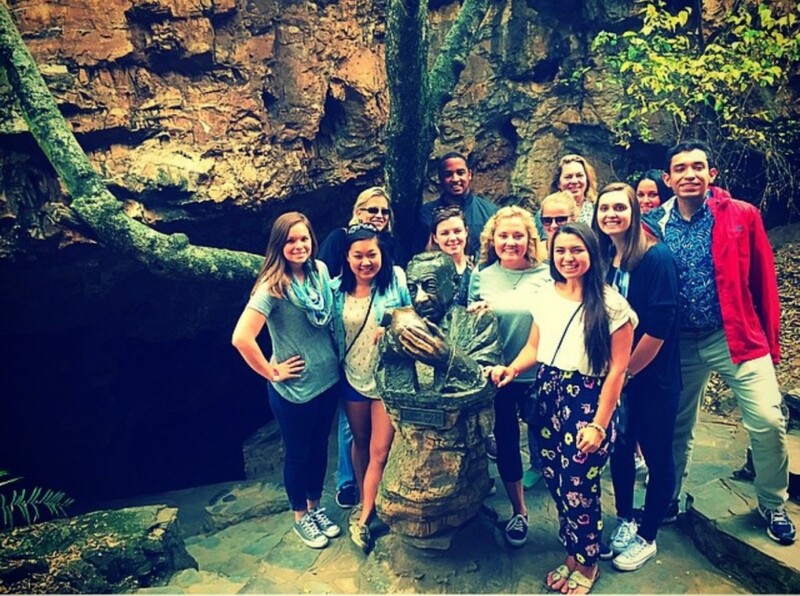 The honors students were in many ways very similar to us! At the very least, we were all tax nerds, and we were all looking forward to the presentation. Kate presented first, with Paige, Amanda and I following. Kristina closed the game for us. 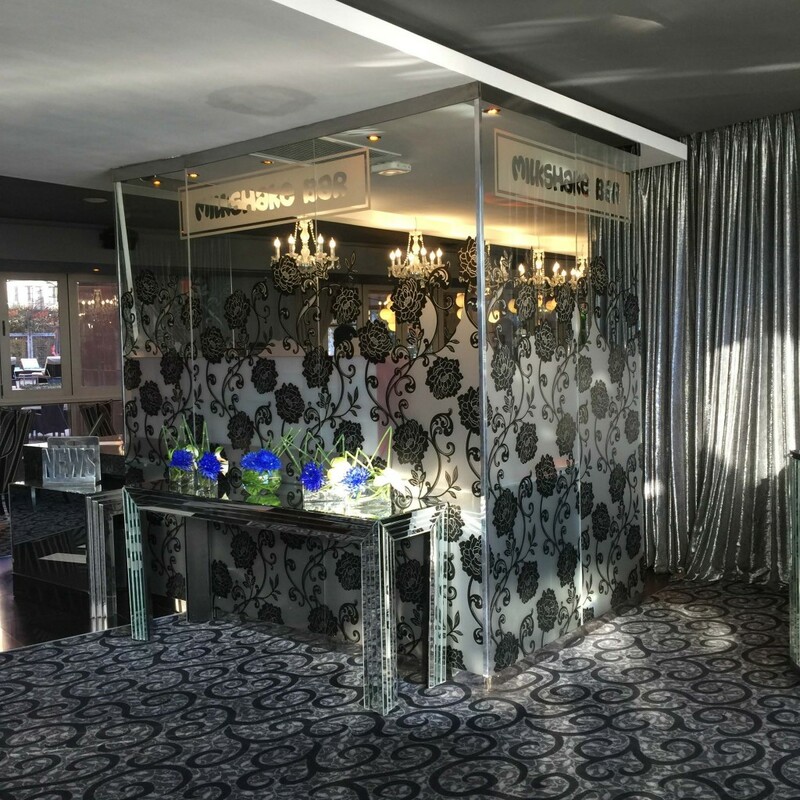 We were really pleased with the results. 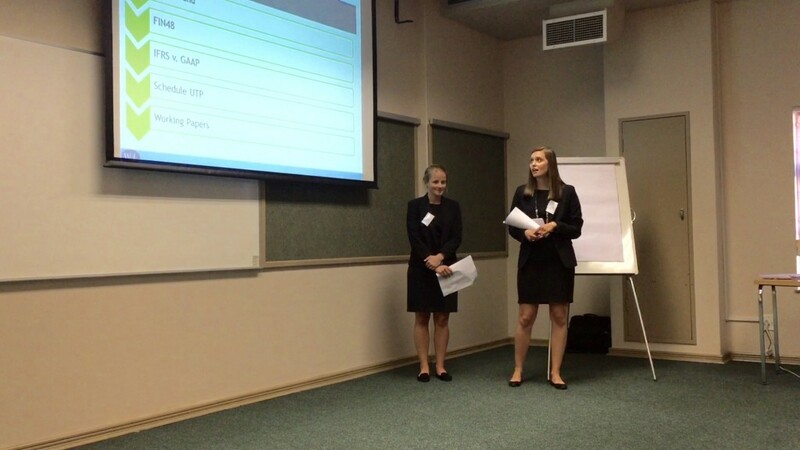 We were successful in making University of Pretoria students interact and work with us throughout our cases, and we managed to make the best out of our hour-and-a-half presentation. 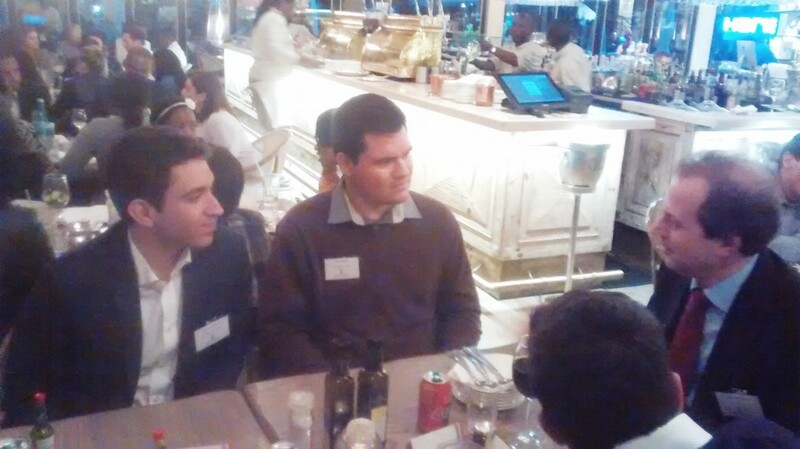 The day ended with a dinner with the honors students of the University of Pretoria and a group of partners from the South African branch of Ernst & Young. We were at a nice Italian restaurant, and it was a delicious break from traditional South African food. The dinner went smoothly and I had a great time talking to everyone in my table. But by the end of the dinner, we were all tired after such a full day and ready to head back to Johannesburg. On Sunday, we arrived in Johannesburg after two weeks in Lexington and 17 hours flying over the Atlantic. As soon as we got here, we went through customs, had a health inspection and drove to our hotel. 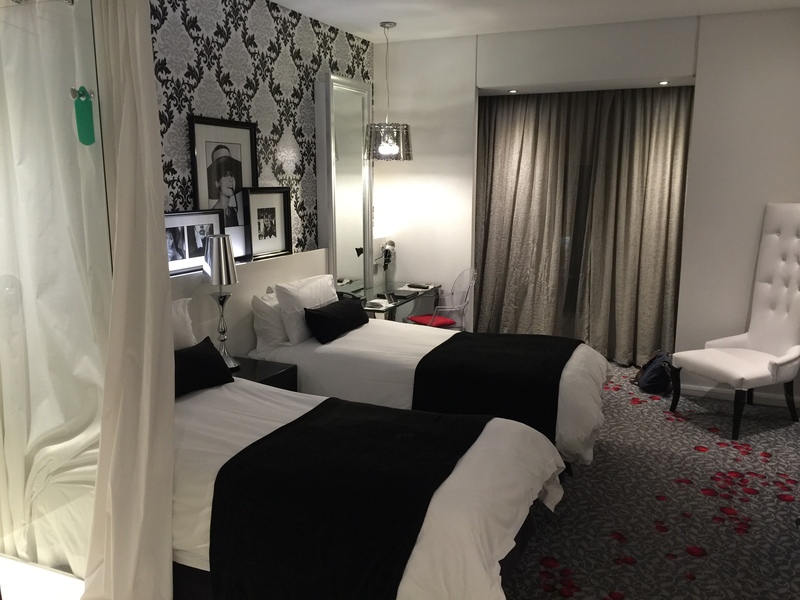 We are staying in a beautiful hotel called Fire and Ice! in a safe and cool area called Melrose Arch. We have everything here — a pool, WiFi and even a milkshake bar. Today we visited the Origins Museum, where we learned about early stone age technology (a.k.a. rocks). We looked at all the different tools used in Africa by ancient tribes people and their cave carvings. 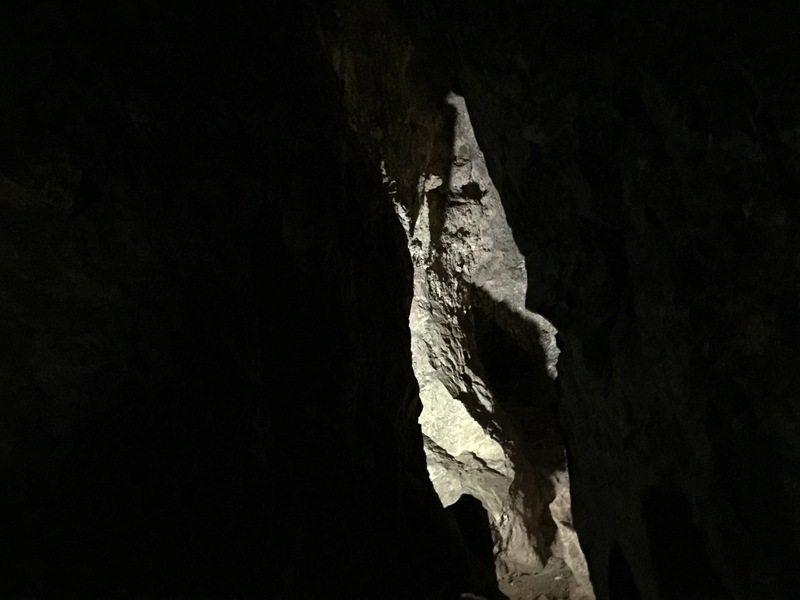 We went on to visit the Sterkfontein Caves, also known as the “Cradle of Humanity.” Hidden in these caves are thousands of human fossils that were preserved for more than 3000 years. We went through several tunnels and we had to climb, walk, squish and even crawl to find our way out of the caves. It was the best! Now, the fun stuff: food. Yesterday, we had lunch at Wits University and ate some great wraps at their own version of our Dining Hall. I had a honey chicken avocado and cream cheese one that was everything that’s good in the world. In the evening, we had a lovely dinner with the Claibornes where we ate traditional South African food, including the amazing Biltong. Biltong is similar to beef jerky, but made out of game and ten times better. I am not sure how they make it, but we are planning on making them back in the States. To end the day, we had ice cream in cups made out of fruits that were pretty cool and felt very “South Africa” until Paige said that they sell them at Costco. 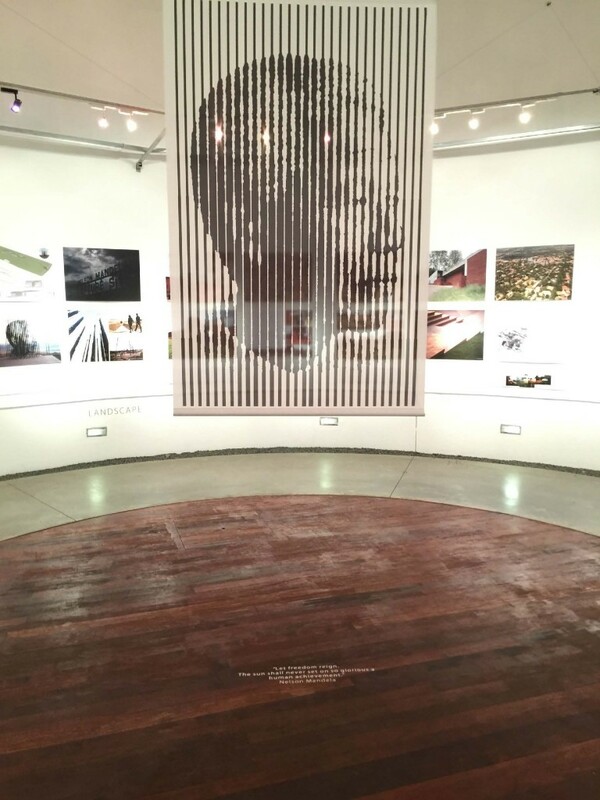 Tomorrow, we have workshops all day with the South African Revenue System (SARS) and a group of graduate students from the University of Pretoria. We are all really excited (and nervous!) to present, but I think we will do a great job. Socrates Manzoni is a junior majoring in accounting and business administration. He was born in Guatemala City but grew up in Managua, Nicaragua. At Washington and Lee, he is active in Model United Nations and is a Spanish teacher for the Languages for Rockbridge program. He also enjoys playing intramural basketball and golf. The trip to South Africa will be Socrates’ second spring term abroad. Last year, he studied Italian film and literature in Rome.